Though the Americans are now in the fight, still on every front; desperation. At every morning brief, more ships sunk. The enemy surrounds you as you starve. Your ships and aircraft sit idle for lack of fuel and parts. Through waves of attacks, a relief convoy comes ... and you wait. Do they know your desperation? Will they make it? What can be done? Well, in comes the US merchant marine professional, Captain Dudley Mason - the master of the tanker SS OHIO - and his crew and convoy. For the details, let's look at the citation for his George Cross and the award to two of his crew, Frederick August Larsen, Jr., Junior Third Officer and Francis A. Dales, Deck Cadet-Midshipman on SS Santa Elisa/SS Ohio. 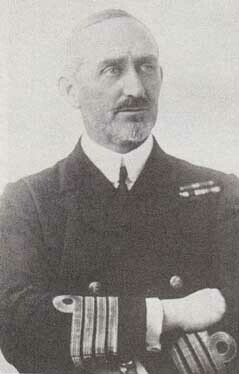 During the passage to Malta of an important convoy Captain Mason’s ship suffered most violent onslaught. She was a focus of attack throughout and was torpedoed early one night. Although gravely damaged, her engines were kept going and the Master made a magnificent passage by hand-steering and without a compass. The ship’s gunners helped to bring down one of the attacking aircraft. The vessel was hit again before morning, but though she did not sink, her engine room was wrecked. She was then towed. The unwieldy condition of the vessel and persistent enemy attacks made progress slow, and it was uncertain whether she would remain afloat. All next day progress somehow continued and the ship reached Malta after a further night at sea. The violence of the enemy could not deter the Master from his purpose. Throughout he showed skill and courage of the highest order and it was due to his determination that, in spite of the most persistent enemy opposition, the vessel, with her valuable cargo, eventually reached Malta and was safely berthed. His ship was a freighter carrying drums of high-octane gasoline, one of two American ships, in a small British convoy to Malta. Orders were to “get through at all costs.” Heavily escorted, the convoy moved into the Mediterranean, and before noon of that day the enemy’s attack began. From then on the entire convoy was under constant attack from Axis planes and submarines. Assigned the command of an anti-aircraft gun mounted on the bridge, Dales contributed to the successful defense of his ship for three days. At 4:00 A.M. on the morning of the fourth day, torpedo boats succeeded in breaking through and two attacked from opposite sides. Sneaking in close under cover of the darkness one opened point-blank fire on Dales’s position with four .50 caliber machine guns, sweeping the bridge and killing three of his gun crew in the first bursts. The other sent its deadly torpedo into the opposite side of the freighter. Neither the heavy fire from the first torpedo boat nor the torpedo from the second drove Dales and his crew from their gun. With only flashes to fire at in the darkness, he found the target and the first boat burst into flames and sank. But the torpedo launched by the other had done its deadly work. The high-test gasoline cargo ignited and the American ship was engulfed in flames. Reluctantly, orders were given to abandon her. Two hours later, the survivors were picked up by a British destroyer, which then proceeded to take in tow a tanker [SS Ohio] that had been bombed and could not maneuver. After five hours constant dive-bombing, the tanker was hit again–her crew abandoned her–and the destroyer was forced to cut her loose. But the cargo she carried was most important to the defense of Malta, and it had to get through. The rescue destroyer and another destroyer steamed in– lashed themselves on either side of the stricken tanker–and dragged her along in a determined attempt to get her to port. Dales and four others volunteered to go aboard the tanker and man her guns in order to bring more fire power to their defense. The shackled ships, inching along and making a perfect target, were assailed by concentrated enemy airpower. All that day wave after wave of German and Italian bombers dived at them and were beaten off by a heavy barrage. Bombs straddled them, scoring near misses, but no direct hits were made until noon the next day, when the tanker finally received a bomb down her stack which blew out the bottom of her engine room. Though she continued to settle until her decks were awash, they fought her through until dusk that day brought them under the protection of the hard fighting air force out of Malta. Here's the twist. How did they get the OHIO back to port with this much damage? 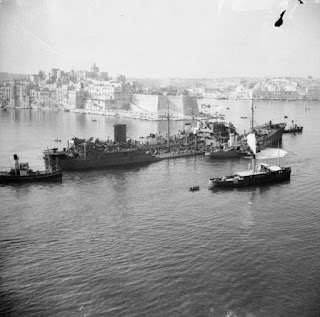 Because of the vital importance of her cargo (10,000 tons of fuel which would enable the aircraft and submarines based at Malta to return to the offensive), she could not be abandoned. 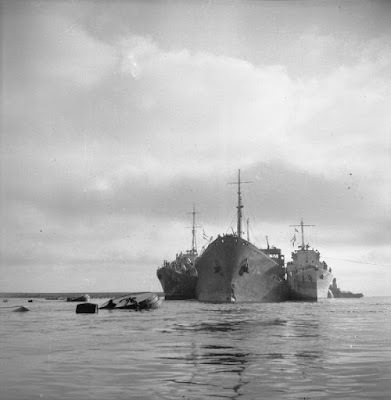 In a highly unusual manoeuvre, the two destroyers (HMS PENN and HMS LEDBURY) supported her to provide buoyancy and power for the remainder of the voyage. One of the worst kept secrets in college admissions is the open discrimination by many institutions against applicants of Asian extraction based on nothing but the geographic sourcing of their DNA. One of the most important legal cases for civil rights of all Americans to come through the courts in the last few decades is working its way above the background noise - and this is great news. As we have stated through the years here on DivThu - the actions of the diversity industry cannot survive the light of day and transparency in the face of objective fact. Because so many people have a paycheck and a twisted sense of self-worth wrapped up in their sectarianism, they will fight every effort to bring us to a better place where we evaluate everyone on the basis of the content of their character, and not something as meaningless as their self-identified race, creed, color or national origin. The United States Department of Justice said in a court filing Thursday morning that Harvard’s race-conscious admissions policies inflict “unlawful racial discrimination” against Asian American applicants. “The record evidence demonstrates that Harvard’s race-based admissions process significantly disadvantages Asian-American applicants compared to applicants of other racial groups — including both white applicants and applicants from other racial minority groups,” department officials wrote. The Justice Department’s criticism came as part of a “statement of interest” it filed in the ongoing admissions lawsuit that alleges Harvard discriminates against Asian Americans in its admissions process. Its statement is meant to oppose the University’s earlier motion that the suit be dismissed before it goes to trial. In the likely event that this long awaited case succeeds, we have the opportunity to pull back the covers at all institutions of higher learning's admissions process. We also have the chance to see where else in our society that merit is punished on the alter of racial fetishists. “Harvard does not discriminate against applicants from any group, and will continue to vigorously defend the legal right of every college and university to consider race as one factor among many in college admissions, which the Supreme Court has consistently upheld for more than 40 years. Colleges and universities must have the freedom and flexibility to create the diverse communities that are vital to the learning experience of every student,” the university said in a statement. They need to get on the same sheet of music with their supporters though. Oops. A broad coalition of Harvard supporters filed briefs in support of the school Thursday condemning the lawsuit and saying that it would effectively threaten diversity at American colleges. Those groups include 25 alumni and student groups represented by the NAACP’s Legal Defense and Educational Fund, the American Civil Liberties Union, a group of economists who criticized the experts whose work was used in the original lawsuit and a group of 531 social scientists and academics who study access to college. “Eliminating race-conscious admissions would disproportionately harm applicants of color, including some Asian-Americans,” Harvard alumni said in their filing. They contend that race is “one of many factors in its holistic admissions process,” in compliance with the Supreme Court’s demand that the use of race be narrowly tailored in the admissions process. “Applicants’ opportunities to amass credentials that make for a competitive college application are greatly affected by race,” alumni and students wrote. “Given racial bias in standardized testing and endemic racial inequities,” they said the school must continue to consider race. 2018, and people still expect to have a charter to discriminate. May the wheels of justice grind fine as its arc continues to bend towards justice. 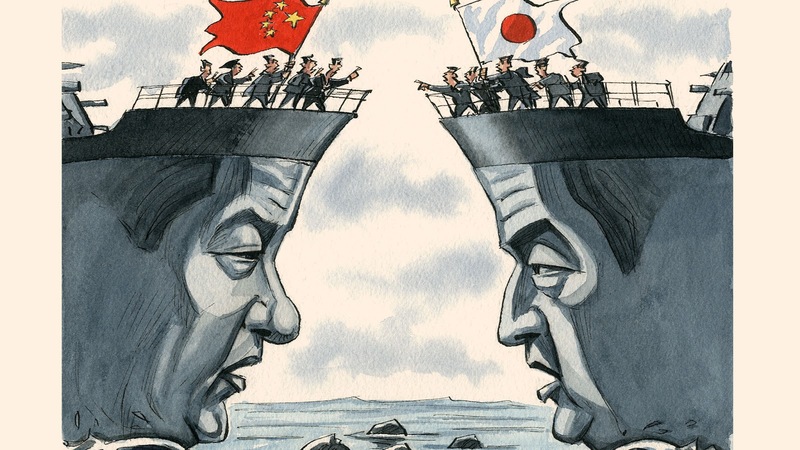 Japan has put out an interesting perspective on how China views Japan. Come see over at USNIBlog. Who doesn't love themselves an ORBAT? Want to get a handle on the Chinese Air Order of Battle? Head on over to our Dutch friends at Scramble. Great interactive map. I'd start with the PLAAF here, but you can get their naval aviation here as well. DTS: How Long Does it Take to Get Rid of a Bad Military Program? The Defense Department has selected a new vendor to overhaul and replace the aging and widely-reviled IT system military personnel use to book airline flights and make other travel arrangements, the Pentagon said Thursday. DoD issued a $9.3 million other transaction agreement (OTA) to SAP Concur to build a prototype that will eventually take the place of the current Defense Travel System (DTS), which processes nearly $9 billion in travel spending each year. Concur is a subsidiary of the global software giant that focuses primarily on delivering travel and expense management as a service, a model that lines up with what Pentagon officials had previously said they wanted: a commercial “travel-as-a-service” offering to replace the government-owned systems that currently make up DTS. The last quarter of the 19th Century, the Gilded Age, was a period of breathtaking change in society, technology, politics and industry. This rapid change helped drive the intellectual and institutional change that brought the US Navy to the world’s attention in the Spanish-American War of 1898. The first two decades of the 20th Century are generally called the Progressive Era, but that only took place due to the advance of progressive ideology the quarter century prior during the Gilded Age. Our guest for the full hour Sunday from 5-6pm Eastern to discuss these and related issues raised in his new book, Progressives in Navy Blue: Maritime Strategy, American Empire, and the Transformation of U.S. Naval Identity, 1873-1898, will be Scott Mobley, CAPT, USN (Ret). Scott is the current Associate Director of the Center for the Study of Liberal Democracy (CSLD) at the University of Wisconsin–Madison. He is a graduate of the U.S. Naval Academy and holds an M.A. in National Security affairs from the Naval Postgraduate School. Most recently, he earned a Ph.D. in History at the University of Wisconsin. As a career U.S. Navy surface warfare officer, Scott commanded USS BOONE (FFG-28) and USS CAMDEN (AOE-2). While under his command, CAMDEN participated in the opening assault phase of Operation Iraqi Freedom. 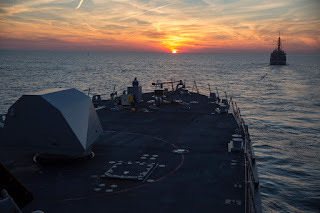 Other notable tours included: Reactor Officer in USS HARRY S. TRUMAN (CVN-76); Navy Section Chief at the U.S. Military Group in Buenos Aires, Argentina; and Chief of Staff for Commander, Naval Surface Group Pacific Northwest. Scott retired from the Navy with the rank of Captain, after thirty years of service. Scott also serves on the U.S. Naval Institute Naval History Advisory Board and is a founding editor for Voices & Visions, an open-access online reader featuring primary media sources that illuminate the history of U.S. foreign relations. 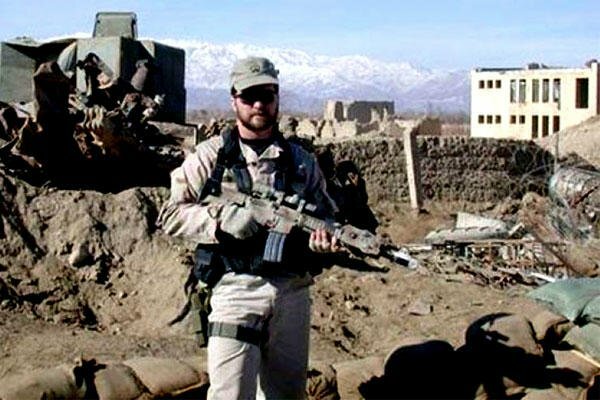 An integral part of the acts of valor review in Chapman’s case, was viewing drone footage that showed the airman unconscious but alive, when his fellow service members thought he was dead. ﻿The footage showed him waking up, continuing to fight and thwart the grenade attacks on the Ranger helicopter. The New York Times first reported this finding in August 2016. The newspaper also reported that many military officials felt the mission was poorly executed. Maj. Gen. Gary Harrell, a retired Delta Force commander who managed the operation, told the newspaper that those who weren’t there shouldn’t second-guess. Should we laugh, cry, or scream? I don't know about you, but I'm numb. Come help me find my safe-space over at USNIBlog. Yes, their comments are a bit off, but even though it says "O" your comment will be there. The two-dimensional view of Russia and Putin we so often, even by otherwise serious natsec folks, is anti-intellectual and counter-productive in the extreme. If you want to have a better understanding of Russia and her interplay with the West, you need to read as widely as possible from a variety of ideological viewpoints. It is especially important to read as much as you can from outside the USA. It is the only way to make sure you don’t get yourself too narrowly scoped by agenda and ignorance. Everything thing you read, especially about Russia, you need to review the background of the author, the nationality of the author, and the publication the author’s work is found. Even obviously biased media organizations from RT to The Nation can have useful articles, you just need to make a conscious effort to remember that as you read. In line with my own advice, today I offer to you an article by retired British diplomat Andrew Wood, presently a fellow at Chatham House, writing over at the Dutch think tank RaamopRusland. Dmitri Trenin's address of 18 May to a conference at The Hague has led to a debate organised by the RaamopRusland think tank as to where the blame lies for the current estrangement between East and West. Trenin is the Director of Carnegie Moscow and also an experienced and authoritative exponent of views widely held within the Moscow foreign policy establishment. In setting out his inevitable conclusion that the United States bears the principal responsibility for the present situation, he argued that the Soviet Union lost a real war, call it ‘Cold’ though we do, to the United States and that today's Moscow is justified in reasserting itself because of the dismissive way that it was treated by Washington thereafter. Russia, as the successor state to the USSR should have been taken by Washington as a co-equal in deciding the affairs of lesser nations, not least in Europe. That may help explain the Russian insecurities, but being on the losing end of a conflict does not automatically grand the lowe the status as a co-equal. In a word; delusional. Wood does a good job throughout the article using Trenin as a foil. It is perhaps even more to the point that the collapse of the Warsaw Pact, and the disintegration of the Soviet Union which followed it, stemmed from the internal decay of the USSR and the eventual defeat of military force used by Moscow to ensure the subservience of its own ostensible allies. Ah, yes. The policy of containment – with teeth. It would be a bit neglectful not to mention that there was very real fighting in the Cold War. At the top of the butcher’s bill we need to mention the 36,574 Americans (and thousands of non-Korean allies as well) killed in action in the Korean War, and 58,193 American dead in Vietnam. Those wars made a point to Communists that the USA would fight. That repression has helped to feed the emotional prejudices that lie behind the Fortress Russia proposition. Taking the United States to be your principal enemy as for instance Trenin did on 18 May (‘Russia's conflict is not with the West, it's with the USA. By and large Europe is caught in a crossfire.’) may be, and indeed is, questionable, but such beliefs, which are encouraged by official propaganda, are now widely shared. Another reason why we need Continental European NATO to spend the bare 2% GDP on defense. With Germany at the front with firm Baltic republics and Visegrad Group nations at the front, it will force the Russians to see this is not a rivalry of two nations. Russia is not alone in its concerns as to the way that the United States, especially under the present Trump Administration, tries to force its way in particular cases. 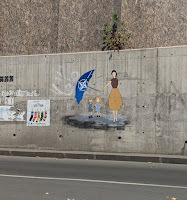 But the United States has not in fact tried or been able over the years unilaterally to draw up the international rule book that has by and large been in accepted international force for decades. There is the further problem of what exactly Russia would like to see take its place. Exactly, and not should the USA. ‘Finlandisation’ was the product of particular circumstances, which do not apply to Ukraine. One of those was the Cold War militarised division of Europe between two rival camps. The supposition that Russia has a sphere of interest justified by its security needs is a pale reflection of that. No other state in Europe would willingly accept the subordination to Moscow's diktat which would go with accepting a tributary role in an arbitrarily defined ‘sphere’. 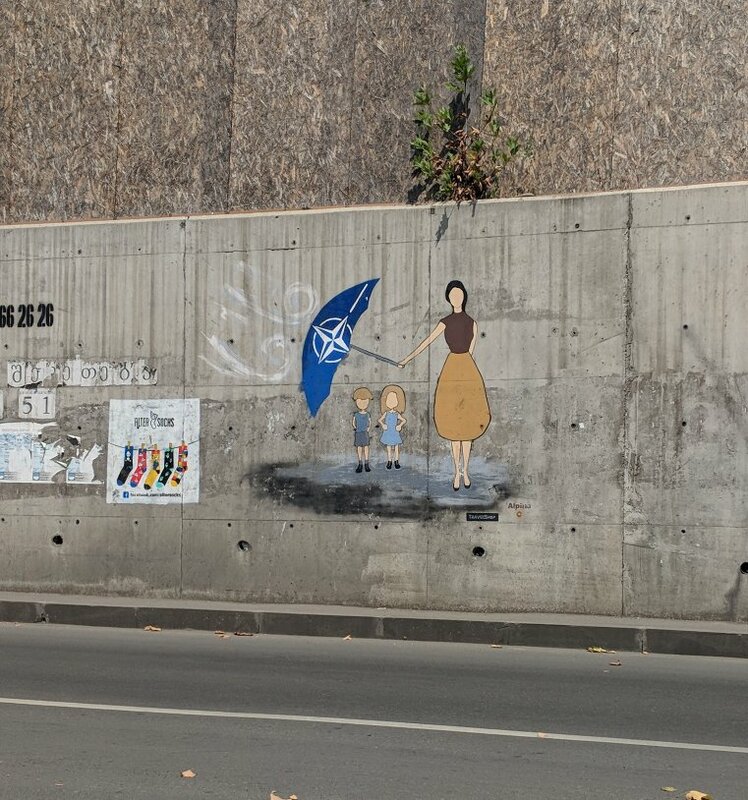 It is the attempt to force others into such a condition, or the fear of it as a possible threat, that has led many to seek shelter in NATO, or if that is not on offer, to get close to it. That won’t stop Russia to, as it is doing, nibbling around the edges. The question of who is to blame between Washington and Moscow for the estrangement between them, or rather between Moscow and the West, seems to me to be the wrong question. Dmitri Trenin suggested that the blame rested with Washington, the United States being the stronger power. Others might point their fingers at the Kremlin, with cogent examples to support them. But the pursuit of a bilateral US/Russia relationship as the decisive factor in achieving a healthier relationship between Russia and the West is a chimera stemming from assumptions derived from the Cold War era. Neither Washington, which in any case has other preoccupations than dealing with Russia, nor Moscow, which may be more focused, can command the obedience of other countries, in Europe and for that matter outside it too. These countries have their own concerns to nurture. Russia has evolved in such a way that Trenin can convincingly assert that his country will not accept the tutelage of the USA, and to believe that this is a real threat that Russia must face. Other countries are not ready to accept the tutelage of the Kremlin, for that matter, and to defy the prospect of it being imposed upon them. Neither power, whether the stronger or the weaker, can look to bilateral negotiations or for that matter bilateral competition to decide for others what the outcome should be in particular cases. Not even the Cold War itself was dissolved on that basis. Europe today is evolving in uncertain ways. Russia will not remain in its present condition for ever. The United States has a troubled Administration. In some ways, Russia is the former heavyweight fighter past his prime trying to get back in the ring, but insists that only the reigning champion is a worthy opponent. Frustration at not being taken as a player of consequence is fed by an inflated ego, insecurity and a wounded pride. 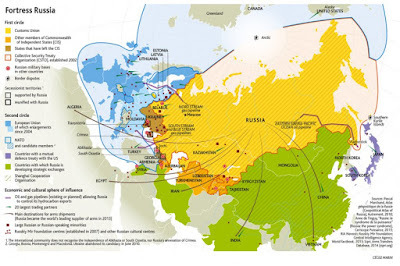 How to get to a better place with Russia – a nation we really should be partnered with and not rivaled against? I don’t know, but perhaps it isn’t a diplomat to get us there, not a businessman, and unquestionably not someone in a military uniform – perhaps we need to get a therapist. The next COA in AFG; Talk? Rod Nordland in the NYT has your Monday must-read article out on Afghanistan. He gives a great view of the state of play as we enter the ending weeks of the traditional fighting season. American commanders have long since stopped talking about winning in Afghanistan. None see how 14,000 American troops can achieve what 110,000 could not. Aides to President Trump, who once called the Afghanistan war a total disaster, have moved to authorize such talks. A State Department official met in July with Taliban representatives in Doha, Qatar, according to Taliban officials. Well, let's see what happens through the New Year. Remember what we said back in January? Fighting in Afghanistan has escalated with US and Afghan officials tipping 2018 to be a "game-changer" as relentless airstrikes pummel Islamist militant groups — but others warn the 16-year war has simply become a more violent stalemate. The escalation of the conflict foreshadows a "particularly bloody year", Michael Kugelman of the Wilson Center in Washington, DC told AFP, forecasting more Afghan and US casualties. The escalation in fighting has all but dashed hopes for peace negotiations with the Taliban anytime soon. Trump ruled out talks last month after the spate of attacks, an apparent reversal of the position set out in his Afghanistan strategy. But Washington is still hoping to bring the Taliban to the negotiating table, Deputy Secretary of State John Sullivan said last week following a trip to Kabul. Sullivan's comments come as the Afghan capital gears up for the Kabul Process meeting at the end of February, where the central government is under pressure to present a framework for peace talks. But expectations for progress are low. "There's no way Kabul, or Washington for that matter, would agree to extend an olive branch to an outfit that is placing explosives in ambulances," Kugelman said. Like I said, we'll see. Eight months in to his tenure as the 33rd Under Secretary of the Navy, our guest this week from 5-6pm Eastern will be Thomas B. Modly. We'll cover the bold-faced items including his background prior to his appointment as the Undersecretary of Defense, his first priorities and challenges as the Under, reorganization of the Department of Defense, the upcoming review of education of our leaders, and more. From 12–25 August 1920 there was one of the more important battles of modern history that is relatively unknown out of the country the battle took place in. It is a story of audacity in th eface of incredible odds by a nation only reborn less than two years earlier against an equally younger malignancy. The Polish-born and much feared head of the Cheka (Bolshevik secret police), Feliks Dzierzinsky, was made head of a Polish Revolutionary Committee, which would follow the Red Army and form the new government. Lenin was absolutely confident of success. Initially all went well, and within six weeks the Red Army was at the gates of Warsaw. But as the Polish Communists had warned, all classes did indeed unite, and there was no rising in the city. Also the Polish commander, Józef Piłsudski, drew up a bold, if not foolhardy, plan of counterattack. 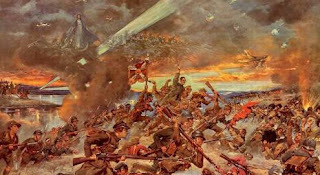 The Polish army would stand on the defensive in front of the city, and when the Red Army was fully committed to the battle, Poland’s best units would launch a flanking attack from the south, cut the Bolshevik lines of communication, and encircle much of the Red Army. Some Polish generals were aghast at the risks involved, but in their desperation there seemed no alternative. As often happens in war, things did not run as per the plan. The enemy has a vote, and they were advancing too fast. The Poles had to move a day early. The Red Army fought its way to the village of Izabelin, only 8 miles (13 km) from the city, but the Polish attack succeeded beyond wildest expectations. Driving through a gap in Bolshevik lines, the Poles advanced rapidly against little opposition. In the Red Army, all was chaos; commanders lost control of their units, with some divisions continuing their advance on Warsaw, others fleeing. Three armies disintegrated, and thousands fled into East Prussia, where they were interned. In an encounter that saw Polish lancers charging and overwhelming Bolshevik cavalrymen, the First Cavalry Army, trapped in the "Zemość Ring," was all but annihilated. The Fourth Army meekly surrendered after being encircled. Marshal Mikhail Tukhachevsky desperately tried to pull his troops back to a defendable line, but the situation was beyond redemption. A few more engagements followed, but the war was effectively won. Lenin was forced to agree to peace terms that surrendered a large tract of territory whose population was in no way Polish—the Red Army returned to reclaim it in 1939. Losses: Soviet, possibly some 15,000–25,000 killed, 65,000 captured, and some 35,000 interned in Germany; Polish, up to 5,000 dead, 22,000 wounded, and 10,000 missing. In the seeds of one victory often hold the next defeat. Head on over to USNIBlog where smart people are contemplating some interesting things. 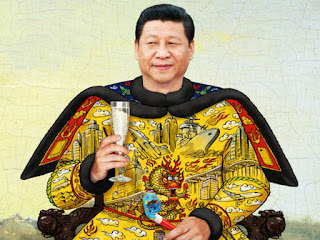 Having concentrated power, Xi is responsible for all policy setbacks and policy failures,” said Joseph Cheng, a retired City University of Hong Kong professor and long-time observer of Chinese politics. Notably, Xi used to dominate state-run newspapers’ front pages and the state broadcaster CCTV’s news bulletins on a daily basis but has in recent weeks made fewer public appearances. “He can’t shift the blame, so he’s responding by taking a lower profile,” Cheng said. Both the stock market and the currency have weakened in response and the Communist Party itself conceded at a meeting last month that external factors were weighing heavily on economic growth. At the same time, a scandal over vaccines has reignited long-held fears over the integrity of the health care industry and the government’s ability to police the sprawling firms that dominate the economy. “Trust is the most important thing and a loss of public confidence in the government could be devastating,” said Zhang Ming, a retired professor of political science in Beijing. And last week, the authorities mobilized a massive security effort to squelch a planned protest in Beijing over the sudden collapse of hundreds of peer-to-peer borrowing schemes that underscore the government’s inability to reform the finance system to cater to small investors. Meanwhile, Xi’s signature project, the trillion-dollar “Belt and Road” initiative to build investment and infrastructure links with 65 nations, is running into headwinds over sticker shock among the countries involved. Some Chinese have also questioned the wisdom of sending vast sums abroad at a time when millions of Chinese remain mired in poverty. 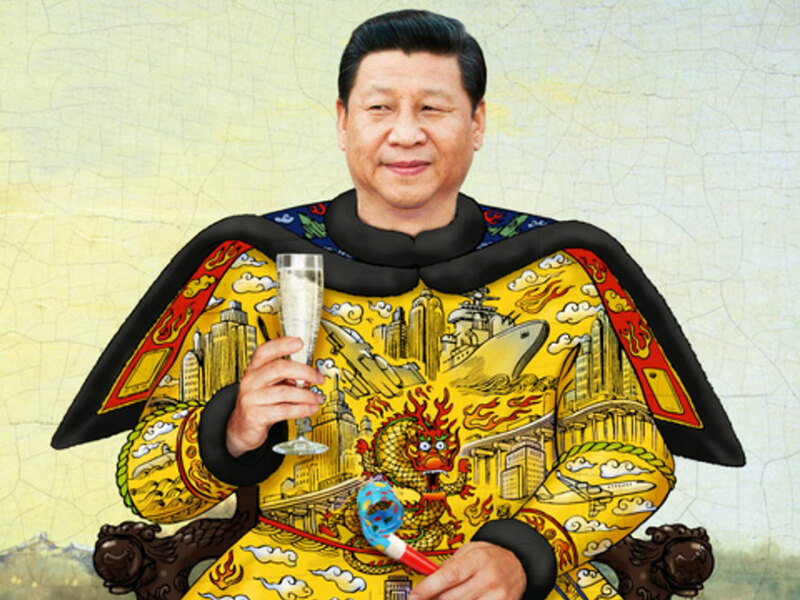 Resentment lingers also over Xi’s moves to consolidate power, including pushing through the removal of presidential term limits in March and establishing a burgeoning cult of personality. Much of the discontent with Xi can be traced to his administration’s perceived ineffectiveness, said Zhang, the retired academic. The readers of CDRSalamander know their history well. So Front Porch, autocratic leaders throughout history have usually looked to what as a quick way to achieve something considered a boost to national greatness? I know it is hard to keep lock on what is happening in AFG, but I need you to track with me on this. 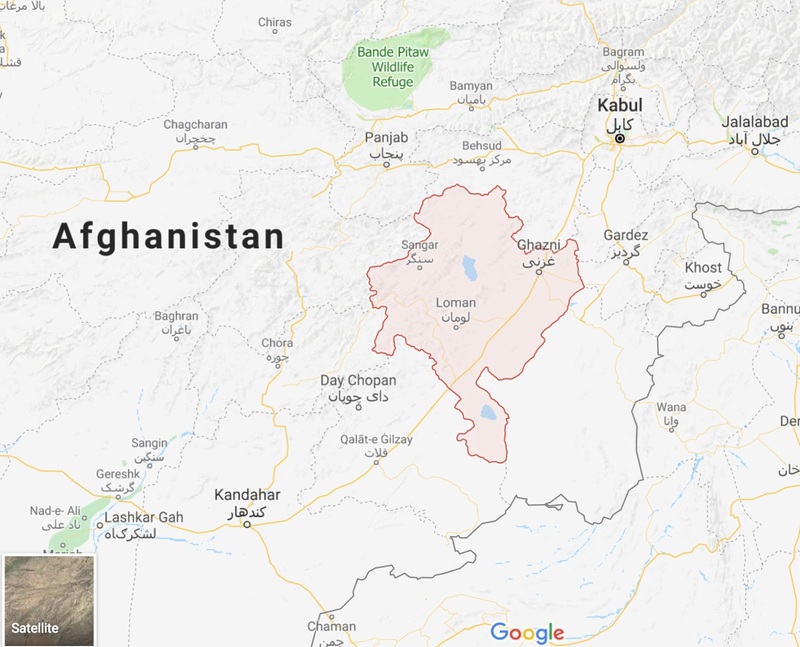 Afghan security forces backed by U.S. advisers and air strikes fought on Monday to drive Taliban fighters out of the embattled city of Ghazni, where hundreds of people have been killed or wounded during four days of fighting. 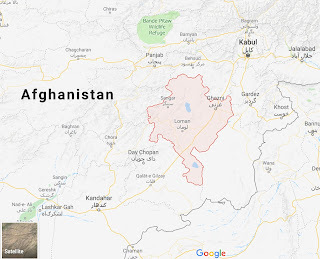 The insurgents seized control of the districts of Khawaja Omari north of the city and Ajrestan in the west, with officials saying dozens of Afghan security forces were killed or missing. However Interior Minister Wais Barmak said the situation had improved by Monday afternoon, with reinforcements pressing the city's last pocket of Taliban resistance. "Afghan forces are in complete control of the city," he told a news conference in Kabul. Diplomats in Kabul said the government had admitted being taken by surprise by the attack and after days with minimal public comment from the presidential palace, Ghani announced on Twitter that reinforcements would be sent urgently. This isn't just any town in AFG. It's OK if you don't know your history, I'll give you a pass. As with many things in this business, when something happens, get a map. 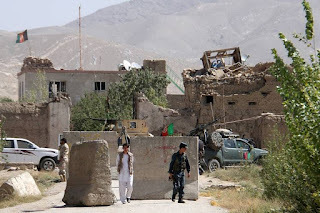 The Taliban attack on Ghazni, a strategic center on the main highway linking the capital Kabul with southern Afghanistan, is a blow to President Ashraf Ghani weeks before parliamentary elections are due and dampens hopes of a start to peace talks. Bold move for August. All reports are that things are secure, more or less - and on AFG terms. There are some who want to pull up and go - and I've shared my frustration and desire to to the same during the Obama era calendar based OPLAN, but if we have a window to get all parties to the table eventually so there can be some peace on AFG terms that mitigates future threats to our national interests, then I would encourage strategic patience. Oh, and keep a better eye on major cities along major GLOCs. A military is not an amorphous mass, but a collection of individuals each who can make decisions in their professional role that can have great impact, both positive and negative, well beyond their immediate and personal concerns. Decisions, policies, and behavior derive from the training, traditions, and fundamental culture of the people who make them. What is the role of ethics, training and other culture forming activities in defining the military professional and how he executes his responsibilities? Our guests this Sunday from 5-6pm Eastern to dive in to these and related issues will be Nathan Finney and Tyrell Mayfield. As a base for our discussions, we will touch on subject areas they raised in the upcoming book they are co-editors of “Redefining the Modern Military: The Intersection of Profession and Ethics” published by the U.S. Naval Institute Press. Nathan Finney is an officer in the U.S. Army, a term member at the Council on Foreign Relations; a Non-Resident Fellow at the Australian Strategic Policy Institute; and a former Non-Resident Fellow at the Modern War Institute at West Point and has helped found multiple organizations, including The Strategy Bridge; the Military Writers Guild; and the Defense Entrepreneurs Forum. Tyrell O. Mayfield is an officer in the US Air Force and a co-founder and board member of the non-profit The Strategy Bridge. Ty has published photography and written work in a number of online forums, magazines, newspapers, and peer-reviewed journals. Ty is a graduate of the Naval Postgraduate School and the US Army War College and holds masters degrees in International Relations, National Security Studies and Strategic Art. Ty is currently writing a memoir about his time in Kabul. "Hey, we have this bizarre operation that has a shoestring budget, is in the middle of nowhere, and is asking for something to be done that has never been done before. Most likely, if the people sent are ever seen again, it will end in abject failure and humiliation for the officer leading it. Who should we send?" "Hey, who is that weird 40-yr old LCDR down the hall with all the strange tattoos and whose uniform is all out of wack? I have no idea what he does at that desk, I won't miss him." "Oh, you mean LCDR Geoffrey Basil Spicer-Simson?" "Yes, that chap. 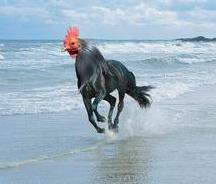 He has an eclectic background fitting his personality. I think he just might be the fit." And so starts a story that inspired books, radio programs and movies ... all for a wee spat in an important but relatively forgotten backwater. 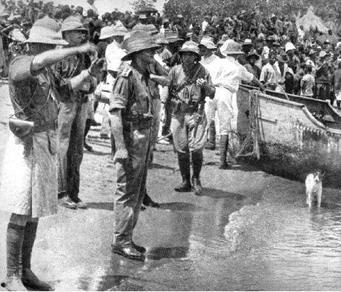 ...and below is Spicer-Simpson, right after he captured the German ship Kingani. Yes, he went to war in a skirt. If you find the naval campaign in Africa interesting, I did another post a few years ago I'd recommend. Though a spotty record, on the whole the US military has led the nation towards racial and ethnic unity. It only makes sense, as the record from the Austro-Hungarian Empire to Rwanda shows that entities that promote ethnic and racial divisions are inefficient, immoral, and end in division and bloodshed. That is why it is sad to see our Navy continue to bask in the toxic stew of division and sectarianism. This is one of those DivThu that the rent seeking, grievance mongering, patronizing Diversity Bullies that our Navy spends millions of dollars a year subsidizing are so kind to write for me. As you read this remember all the things you've read the last week about the racist Sarah Jeong. The attitude she has towards race is fully in line with those you find working in the DOD subsidiary of the Diversity Industry. Just read their own work. Do you see any evidence in the below that would have you think that they have any different feeling towards white men than Sarah does? OK, I will grant you a little more diluted than Sarah, but if a bird poops in your soup bowl or in the pot that made it, you still have poop in your soup. Our focus has since grown to encompass a much broader definition of diversity beyond the traditional demographic measures of race, gender and ethnicity. ...but do you see in their document anything else but race, gender and ethnicity when breaking down the meat of where the cancer of sectarianism and racial self-identification fraud is injected; accessions, retention, career progression and senior leaders? Of course not. As is the pattern with their ilk, they are lying to you. Who is the one party that is "the problem" with their metrics? Who is a non-person? Where is the Sarah tie in? Note that there is only a problem where there are "too many" white people - specifically white men. Areas where there are "too few" white people? No problem. Change the ethincities around and tell me there's no problem here. We should be a Navy where no one cares what color, ethnicity or glorious mixture you happen to be. Your DNA does not mean anything. You are a Sailor and a shipmate. All else is meaningless. Can you do the job and do it well? That is the only measure that matters. The rest of this intentional support of breaking us in to racial and ethnic groups against each other is not just wrong, it is unproductive and counter to building a fair and just society. It was wrong in the Jim Crow era as it is today. Thing is, this time the Navy has an entire bureaucracy dedicated to one thing, judging Sailors by the color of their skin, not the content of their character. Read it below and tell me where I'm wrong. Once you're done, find your favorite couple of Easter Eggs. I'll share mine at the bottom. Of course. Not only are more people ignoring the Diversity Bullies' AKC like breeding standards, they are rightfully judging their mates by the conduct of character, everyone else is engaging in a bit of fun with their DNA. Like my family, we can pick from three ... or all. The next frontier for Navy I&D is mitigating the negative effects of bias through a five-year bias mitigation strategy across four lines of effort for the entire Navy Team: Active, Reserve and Civilian. First of all, this entire document is full of bias. Second, what is this strategy? Also, if we have bias, why are we sitting on our hands right now? Give us names and examples of bias. We have the UCMJ for such things. If it is there, let's pull those people out now - root and branch. If you can't then, well, we know what is going on here, don't we? 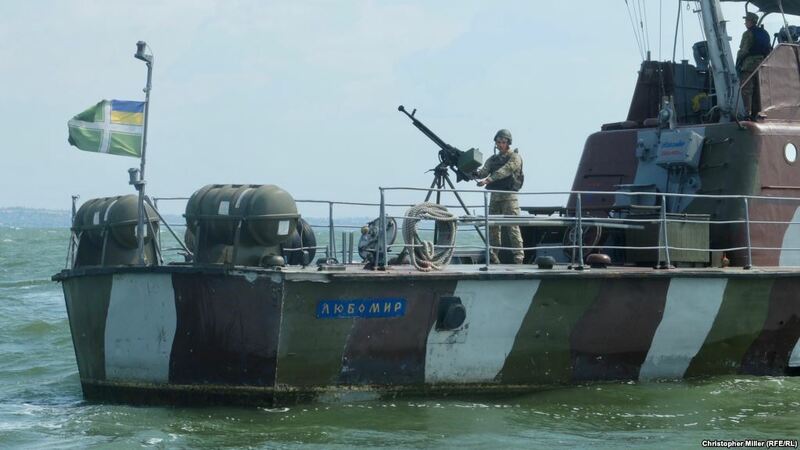 Off Ukraine there is a laboratory. I'm pondering over at USNIBlog. Come on by and ponder with me. Sorry Georgia. History and Geography just aren't in your favor. In my heart, I wish the people of the nation of Georgia all the best in life and freedom. I also fully understand the emotion and concern behind another neighbor of the bear but already under NATO's umbrella, Estonia, feelings in this tweet. I served with Georgians in AFG and they are always a hoot out on the town, but ... I'm sorry, I don't see NATO in the cards for you. This keeps coming up, and I wish people would ... again ... please consult your nearest Atlas. The one above will do. As long as you have such standing border issues with Russia, I don't see any way of bringing you inside NATO's lifelines. In a sad twist in line with how history works, both you and Ukraine will have to wait for some future Russian socio-political implosion to change the truth on the ground. Until then, try to stay out of a war you can't win and make friends. Coming inside a defense alliance with this baggage? No. Nothing will start off a week right better than a wee little rant. You simply must watch this video from DefenseNews. I can't embed it, so go to the link - I'll wait here. It is gobsmacking in its satire-proof nature. I would have serious challenges scripting a more farcical description of the shameful slow-rolling by the USAF of the light-attack program. Bullsh1t. We’ve known about this requirement since shortly after 9/11. I know, I was at C5F in late 2001 when we were talking EXACTLY ABOUT THIS REQUIREMENT AND HOW LONG IT WOULD TAKE TO GET IT HERE! Just like the riverine forces we ignored until well in to the IRQ conflict, these capabilities were ignored, starved, and killed by the wrong people for the wrong reasons. When we actually have a no-kidding shooting war on our hands, our Soldiers and Marines die because they don’t have the support they need and have to execute missions with more risk. 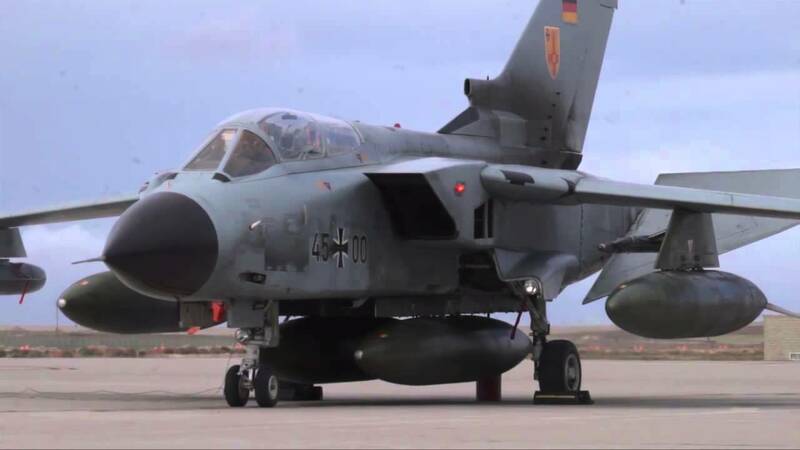 We expend untold millions of additional monies and airframe time shoe-horning other assets to do a job they are not designed to do, and they do it in a suboptimal manner when they do. As the Bronco part of this experiment showed us, we had this capability available for a “good enough” solution early on – but no. People far removed from the pointy end had other priorities. Mostly their own egos and pre-conceived notions about what war should be vice what it is … but they had priorties. In the video, they brag about how they are at “90-95%” solution and apologize about not being 100%. Good googly moogly, is there no self-awareness here of promoting perfection as the enemy of the good? 70% is a passing grade. 2.0 and go is good enough when you’re being shot at … but then again … those making the decisions are not being shot at nor are at any threat of being shot at. Heck, ignore the Broncos in storage. The Brazilians had Super Tucanos (variant AT-29B) ready to go in 2001 and Colombians had combat ready squadrons in 2006. 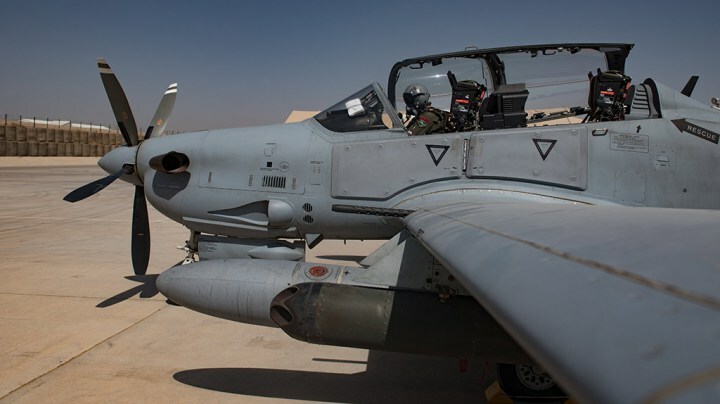 Zero reason we had to wait for just a few to show up in AFG in 2016 with the Afghan Air Force. 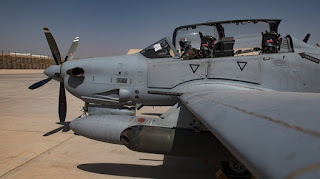 We should have had them in AFG and IRQ in 2005 with USAF on the side. Well, as reports show today, we may have some by 2019. That means ready for a combat deployment by what – let’s use round numbers – 2021. Two decades. Tell me more about our “rapid procurement” programs. Better late than never, but this is no time to pat ourselves on the back and say how awesome we are. Taxpayer money wasted and their sons and daughters die unnecessarily because we have a procurement system that does not support the military; the military supports the procurement system. Rip it up root-and-branch. Like an untended and neglected garden, it is overgrown with vines, weeds, and saplings – holed and corrupted by burrowing vermin. The future has been with us for quite awhile now, but the intersection of advance manufacturing, Moore's Law, and data storage are bringing to the front capabilities that for decades were found only in science fiction. Autonomous and varying degrees of human-robot teaming, artificial intelligence, robotics, and machine learning are not just growing parts of the modern economy, with each passing year they become more and more integrated with military operations. What future capabilities can we expect and how will we work through the ethical and legal complications that will come with them? Our guest to discuss these and related topics this Sunday from 5-6pm Eastern will be Ali Crawford. Ali Crawford Ali has an M.A. from the Patterson School of Diplomacy and International Commerce where she focused on diplomacy, intelligence, cyber policy, and cyber warfare. She tweets at @ali_craw. With both mines and Korea in the news this week, time to bring back an encore FbF. A minor ship in a minor action - but for every Sailor lost at sea in combat, all are equal. Brief narrative report of loss of USS Magpie while on Minesweeping duty off Chusan Po, Korea. Ship’s forward portion exploded and after section settled by the head when Magpie struck a mine. 12 survivors. 1. As senior survivor of the USS MAGPIE (AMS25), my version of the MAGPIE loss is as follows: At about 1700, minus 9 zone time, 1 October 1950, I was on watch on the fantail, during mine-sweeping operations. The starboard sweep gear and magnetic tail were streamed. Three hundred fathoms of sweep wire was in use. We were in approximate position latitude 36-30 N., longitude 129-30 E., off Chusan Po, Korea, and on a southerly course. Steaming at ten knots. 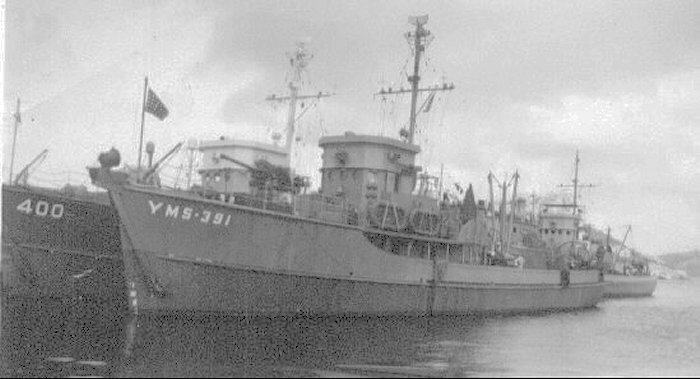 The USS MERGANSER (AMS26) was stationed about five hundred yards astern and to starboard of the MAGPIE. At about this time there was a tremendous explosion forward and the entire forward portion of the ship, forward of the stack, appeared to explode. The remainder of the ship immediately started to settle by the head. During this period I took shelter under the towing winch but could see forward. After the debris stopped falling I assisted in launching the port after ten-man life raft. After that I proceeded as far forward as I could to the break abreast of the stack, on both port and starboard sides, with the view of assisting any survivors or saving the ship. I encountered no one. After this inspection I abandoned ship, port side, to assist BENNETT, 365 32 49, EMFN, USN, who was in the water and shouting for help. BENNETT was injured and unable to adjust and inflate his life jacket. I assisted BENNETT to the raft and both of us boarded the raft. After being in the water and on the raft for a period of about thirty minutes, the USS MERGANSER (AMS26) Wherry towed us to the MERGANSER. 2. There were twelve survivors: CARLOCK, Dale T., 344 79 03, FN, USN; CARPENTER, Vail P., 393 08 57, BMC, USN; DOBBS, Thomas D., 325 16 58, ETSN, USN; ESPINOZA, Leo L., 369 20 83, SN, USN; KEPFORD, James W., 345 02 15, FN, USN; McCLAIN, James H., 569 02 59, FN, USN; HARRISON, William E., 234 41 27, GM3, USN; BENNETT, Alex W., 365 32 49, EMFN, USN; BENSON, Richard B., 325 74 34, SN, USN; BLASSINGAME, Henry A., 581 07 35, CSSA, USN; KASTENS, Howard L., 344 82 35, USN; SANDERS, Howard W., 570 94 48, QM3, USN. The first seven survivors are now quartered on board USS DIXIE (AD14). The last five were transferred by USS MERGANSER to USS REPOSE (AH15) at Pusan, Korea for treatment. I do not know what disposition was later made of them. 3. To the best of my knowledge all records and logs were lost, except pay accounts which were on board the USS DIXIE (AD14). Pay account of HARRISON, W.E., 234 41 27, USN, were lost with the USS MAGPIE. Most Sailors who are lost at sea are never found. Their families have no body to honor or lay to rest. Well, ENS Langwell; welcome home. In June 2008, personnel from the Republic of South Korea’s Ministry of National Defense Agency for Killed in Action Recovery and Identification (MAKRI) canvassed towns in South Korea in an effort to gather information regarding South Korean soldiers unaccounted-for from the Korean War. An elderly fisherman, interviewed in the village of Chuksan-ri, reported that he and other villagers had buried an American serviceman in 1950 when his body was caught in the man’s fishing net. Among other forensic identification tools and circumstantial evidence, JPAC scientists used dental comparisons in the identification of Langwell’s remains. With Langwell’s accounting, 8,025 service members still remain missing from the Korean War. Back in 2010 I had a brief conversation with Admiral Foggo in San Diego. Knowing my window was short, I took my one shot at an idea for him to consider. We have enough planners and strategists at the Joint Staff and high level service specific staffs. We send a few people out to get PhDs in economics and history and then - no offense folks - put them out to pasture to teach at service academies. This is stupid. What we need are people with practical experience at the tactical level to go out and get focused PhDs in economics and history and then roll them in to our planning staffs. The world is a complicated place. It is a world that more than any other time in the last century, is run by money and commerce. We need people who know how to look at economic and demographic trends. We need people who know how to take what direction the economic and demographic trends are taking us, and give it historical context. Human beings have not changed all that much through history. In a large part, we still respond in predictable ways to stresses and opportunity. Historians see that. Hundreds of American troops in Africa would be reassigned and the number of Special Operations missions on the continent would be wound down under plans submitted by a top military commander, a response to the Trump administration’s strategy to increasingly focus on threats from China and Russia. 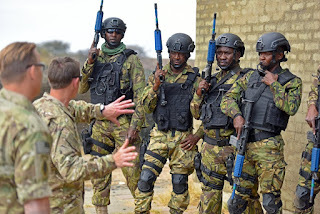 General Waldhauser said Africa Command was the first to be asked to submit a drawdown plan, as The Times initially reported in June. But he said he expected other American combatant commands around the world to do the same under the defense strategy to better position the United States military against threats from Russia, China, Iran and North Korea. 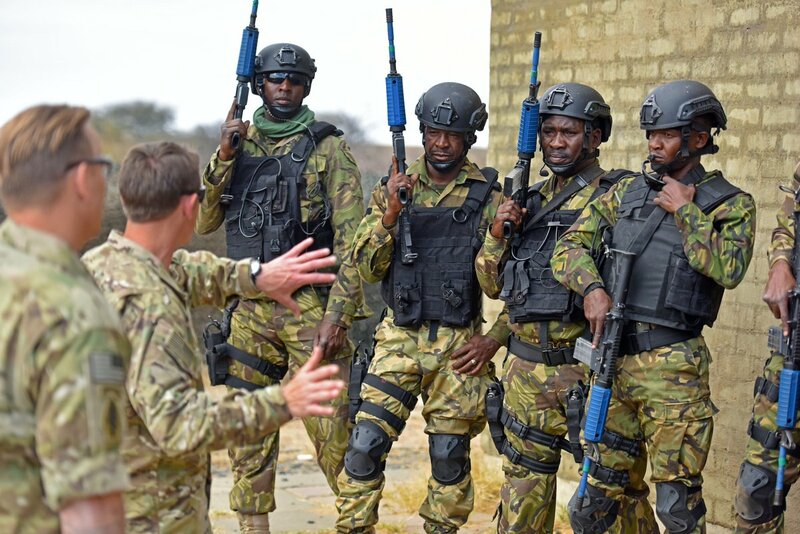 Africa receives a small portion of Pentagon investment compared with Germany, South Korea and Japan, for instance. I'll be blunt; unless someone goes insane or through our own stupidity blunder in to it, we are not going to war with North Korea. Anti-democratic or not, we have more security interests with Russia than we have conflict. She's insecure and flinty, but has no ability to take war against NATO. All she wants is money and be treated in a way that soothes her bruised pride. Only pig-headedness on both sides is stopping us from realizing this reality. Only mass hysteria on a scale not seen since 1914 could lead to a war with Russia. China may bluff her way in to a WESTPAC war once she thinks she can win one, but of the three - that is where the greatest likelihood of war comes from. That war, if it came, would be for the USA side at least, an air and naval war. It will not be a land war on the Asian landmass, as only a fool would try such a thing. What small number of forces we have in Africa right now are worth every penny we spend. The challenge to global stability mid-century will come from Africa. The economic and demographic leading indicators are all blinking red. Well, at least there are some stirrings in NATO at last about the concern. Hard to believe this is JFC Naples first conference on the challenge, but better late than never.